Our personal care Hand Soaps from colgate palmolive are top quality soaps for use at home or in hotels or healthcare. Soft soap is one of the more popular liquid hand soaps in the country. Colgate Palmolive Softsoap Aloe Hand Soap - 1 Gal. Dial SweetHeart Pink Lotion Soap - 800 Ml. 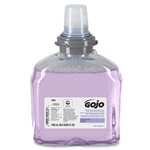 Gojo All Purpose Skin Cleaner Soap Pink - 1 Gal. Gojo Enriched Lotion Soap - 800 Ml. Hand Soaps for hotels, motels, hospital rooms, daycares, and dentist bathrooms.